Puppet Heap — Que Monstro te Mordeu? Some projects you do for money, some for love, and some because they’re just so weird you simply cannot refuse. That was certainly the case with Que Monstro te Mordeu, a new children’s television show in Brazil created by Cao Hamburger and Teodoro Poppovic. In each episode, a child from the human world draws a monster which might be lazy, scary, jealous or other.. the drawing then comes to life in the World of Monsters causing chaos wherever it goes! Puppet Heap fabricated eight characters including three large walkarounds and five hand puppets based on designs by artist Jum Nakao. With textures like swiss chard, wads of gum, jelly beans, mold, and grassy poop, the project was a wonderful challenge. Jum’s designs were at once familiar and yet totally unique—taking on the colors and textures of everyday objects and turning typical tropes of children’s entertainment on their heads. We are so pleased to have been a part of this special show. Paul Andrejco and Artist Matthew Brennan reviewing Luisa prototype. Puppeteer Sidnei Caria rehearsing with Gorgo in São Paulo, Brazil. 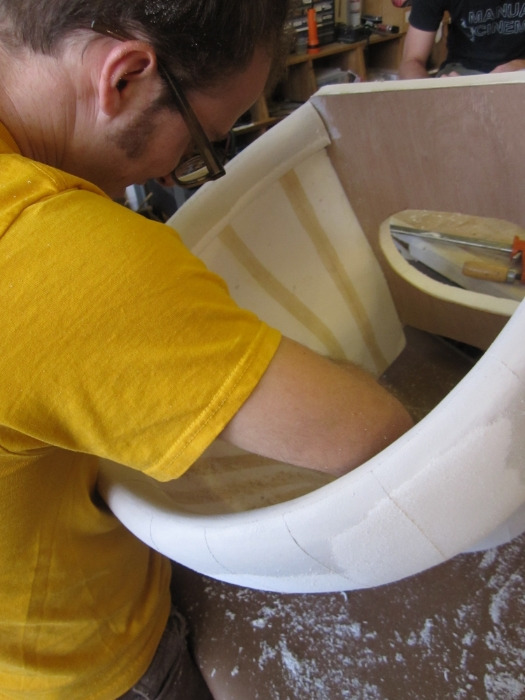 Artist Matthew Brennan testing Luisa's seat. Pernille and Vanessa preparing Luisa's fur. 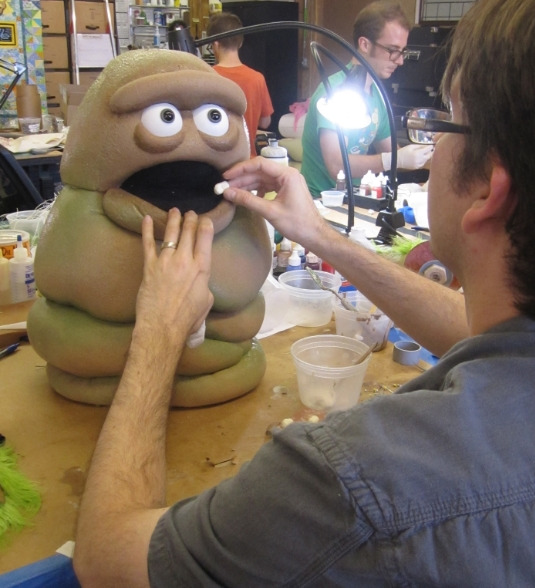 Artist Casey Miller with prototype and applying surface coating to Morgume. 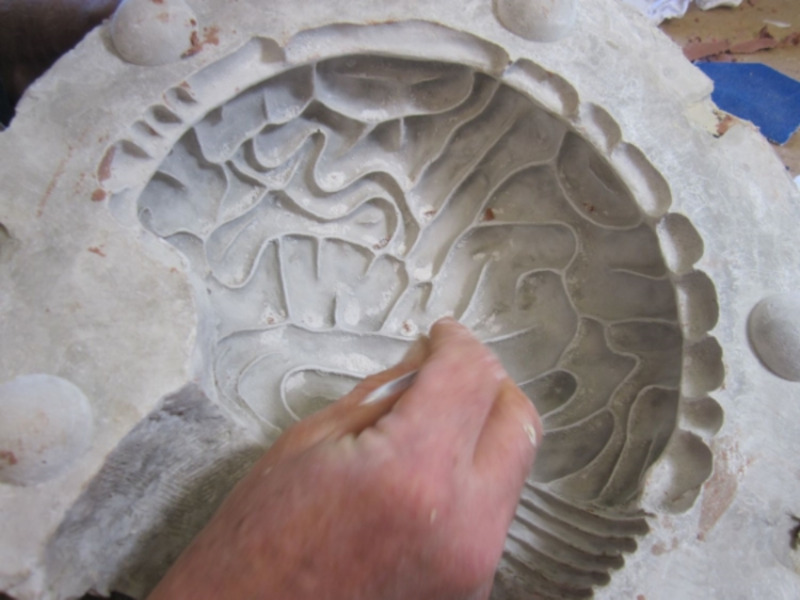 Artist Mary Brehmer creating the tongue surface for Gorgo. Casey Miller with his head in the toilet....again.